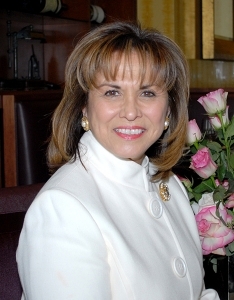 Helen Hernandez is the founder of The Imagen Foundation. Prior to establishing the Imagen Foundation, Ms. Hernandez was the Vice President of Public Affairs for Norman Lear and Jerry Perenchio’s Embassy Communications (presently Sony Pictures Entertainment). Acting as this major television production company’s local and national liaison, she was most instrumental in developing and supervising various corporate programs that enhanced the company’s reputation in the national community for socially and culturally sensitive programming. 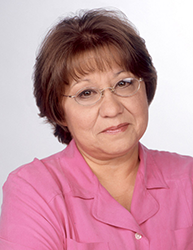 For the last twenty-five years, Ms. Hernandez has been the Executive Producer for the Imagen Awards. Over the years, The Imagen Foundation has honored such entertainment industry professionals such as Antonio Banderas, Phil Roman, Edward James Olmos, Bill Melendez, Rita Moreno, Jennifer Lopez and Hector Elizondo. Under her leadership, the Imagen Awards have become one of the most prestigious awards in the entertainment industry. The awards exemplify the best of what Hollywood can produce in portraying the image of Latinos and Latino culture. With Financial support from Norman Lear and Jerry Perenchio’s Embassy Communications, staff support from the NCCJ, the cooperation of many entertainment companies, the leadership of Helen Hernandez, and a voluntary advisory committee of professional and community leaders, the Imagen Awards became a successful enterprise. Since 1985, the Image Awards competition has brought out the best and most talented portrayal of Latinos in television and film. Anamaria BuranasakornVice President, Human Resources for Fox Television Stations, Inc.
Anamaria Buranasakorn is Vice President, Human Resources and Community Relations for Fox Television Stations, Inc., which includes the Los Angeles duopoly of KTTV FOX 11 and KCOP UPN 13, regional sports networks Fox Sports West and Fox Sports West 2, and Twentieth Television, which produces and/or distributes programming and distributes feature film packages for the domestic syndication and cable marketplace. The Fox Television Station group, one of the nation’s largest owned-and-operated network broadcast groups, is comprised of 35 stations in 26 markets, covering nearly 45% of U.S. television homes. She joined KTTV in January 1990 as Personnel Director. Buranasakorn supervises all human resources activities, including employee relations and personnel recruitment, as well as salary and benefits administration, for the stations in the Western United States. Buranasakorn also oversees the stations’ community relations department, including outreach efforts, public service campaigns, community events participation and public affairs programming. Prior to joining Fox Television Stations, Inc., Buranasakorn had fifteen years experience in human resources, including various positions within such diverse industries as textiles, banking and retail. As a member of the Management Training Program, she began her career in administration in 1975 at the J.W. Robinson Company. Buranasakorn currently serves on the Board of Directors of The Imagen Foundation and the Corporate Advisory Committee for the County of Los Angeles Human Relations Commission. She is a graduate of the University of Chile, with a master’s degree in social science. A native of Santiago, Chile, Buranasakorn and her family reside in Woodland Hills. Susana holds a Bachelor’s of Science degree from California State University Long Beach, where she majored in Business Administration with an emphasis in Human Resources Management. Susana previously headed Human Resources at Miramax. Prior to that, she was Senior Manager of Human Resources at Game Show Network, Staffing Manager at Universal Studios and Head of Staffing and Diversity Outreach for MTV Networks. Susana started her entertainment career at Sony Pictures Entertainment in their Human Resources department, however, initiated her current path in HR while an Intern at the Coca-Cola Bottling Company in Los Angeles, CA. Upon graduation from college, she worked at the Precept Group (a Benefits Consulting firm) in Newport Beach, CA. Susana is a native of Mexico and grew up in Southern California. She enjoys spending time with her nieces & nephews and outdoor sports and activities. 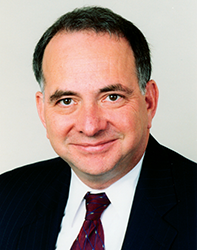 Jonathan D. AvilaVice President & Chief Privacy Legal Officer for Walmart Stores, Inc. In his role as Senior Vice President, Enrique Guillen’s focus includes development of unscripted projects, international strategy, interactive initiatives, ad innovation and cross-company collaboration. A National Emmy Award nominee, Enrique also worked for USA and Univision, and earned a MFA in Broadcast Journalism as a Fulbright Scholar at the University of Miami and a MBA from the Kellogg School of Management. Edy Mendoza currently serves as Vice President, Comedy Series Development, CBS Entertainment. Mendoza has served in this position since May 2006. She reports to Julie Pernworth, Executive Vice President, Comedy, CBS Entertainment. In her position, Mendoza develops and oversees CBS’s new comedy projects. She has been involved in the development of many of the Network’s hit comedies including THE BIG BANG THEORY, 2 BROKE GIRLS, MOM and MIKE & MOLLY. She is currently working on the new fall series LIFE IN PIECES and ANGEL FROM HELL. Mendoza joined the CBS comedy development department in September 1996 as an assistant to Trilling. She was named Supervisor, Comedy Development in June 1998, was promoted to Manager, Comedy Development in June 2000 and Director, Comedy Development in September 2001. Mendoza serves on the Board of the Imagen Foundation, an organization that encourages the positive portrayal of Hispanics in all forms of the entertainment media. Mendoza is a graduate of UCLA with a Bachelor’s degree in Communication Studies.